Sorry your order was missing a hat, we are issuing you a refund. All of our elastics strings measure 11 inches long, which is the industry standard for adult sizing. Glad we could help make your Christmas party more festive. 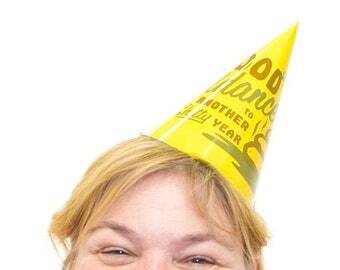 I launched this business on my 45th birthday; after I couldn't find any well-designed party hats. 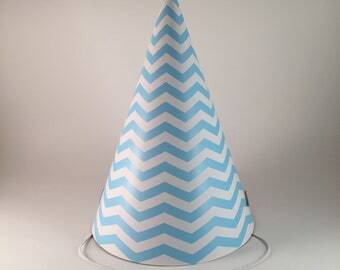 We sell party hats for adults because everyone needs a reason to celebrate more. We hire artists to create fun, beautiful designs and pay them a generous percentage of each sale - because we believe that enjoying fun, beautiful things is awesome and worth paying for. 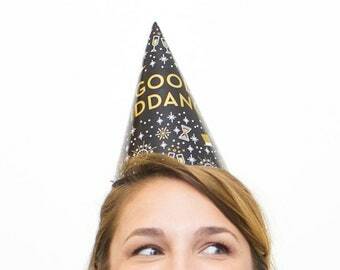 We also believe that anything is more fun if your friends are wearing matching party hats while doing it. I launched this business on my 45th birthday. I just wanted a bunch of orange party hats. But all I could find were a mix of colors in the same package - and tons of cartoon characters and cheesy graphics. I complained to my wife, "why doesn't anyone sell matching colors and cool designs?" Ok, so I didn't actually use those exact words, but she did tell me to stop complaining and do something. 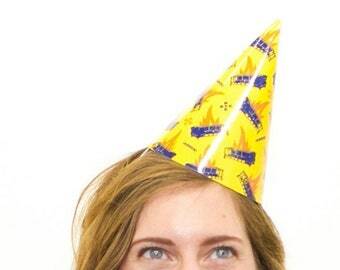 Now, she jokingly calls me "The Party Hat King." Our kingdom is small and building a business from scratch makes me feel more like the court jester. But our party hats rule. Putting the art into party. Our printer is a family-operated business.